Great reading for leaders who want to improve! Lack clear vision and direction They believe their only job is to execute. Like a hiker who sticks close to the trail, they’re fine until they come to a fork. Have poor judgment They make decisions that colleagues and subordinates consider to be not in the organization’s best interests. Don’t collaborate They avoid peers, act independently, and view other leaders as competitors. As a result, they are set adrift by the very people whose insights and support they need. Don’t walk the talk They set standards of behavior or expectations of performance and then violate them. They’re perceived as lacking integrity. Resist new ideas They reject suggestions from subordinates and peers. Good ideas aren’t implemented, and the organization gets stuck. Don’t learn from mistakes They may make no more mistakes than their peers, but they fail to use setbacks as opportunities for improvement, hiding their errors and brooding about them instead. Lack interpersonal skills They make sins of both commission (they’re abrasive and bullying) and omission (they’re aloof, unavailable, and reluctant to praise). 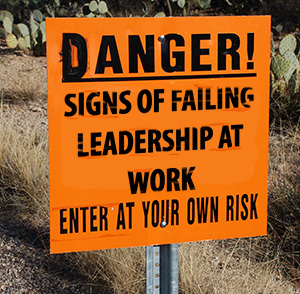 Fail to develop others They focus on themselves to the exclusion of developing subordinates, causing individuals and teams to disengage.